Matsui Jurina not participating in SKE48 national tour? Tomonaga Mio to release photobook… maybe? 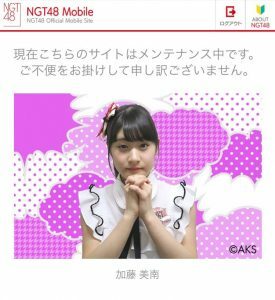 NGT48 is really working to build up a local fanbase. On their new radio show, which is titled, “NGT48 no gachi! Gachi? 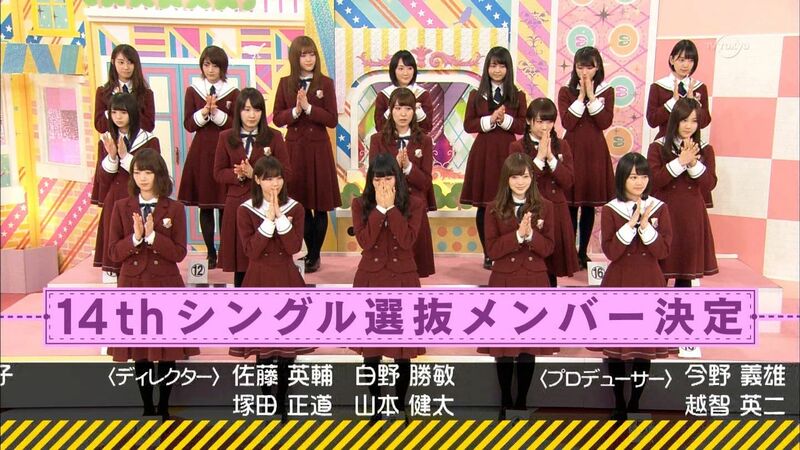 Sousenkyo”, their guest was the Mayor of Niigata! Although not quite a prime time drama, it seems Rina is doing well these days. 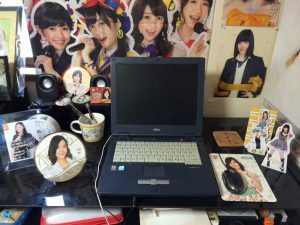 Commentators on a recent 2ch thread note of her absence and wonder about its reasons, since she no longer has obligations of AKB concurrency. One can only wonder. 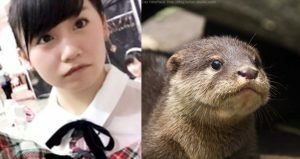 According to 2ch, former Nogizaka member Yamaoto Rina recently went on a vacation (admittedly a short one, to South Korea) with former SKE48 member Kito Momona. 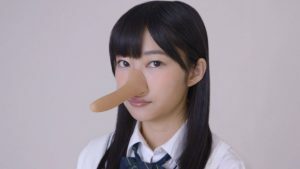 For the uninformed, Momona graduated from SKE48 in mid 2014, and she later made her adult video (AV) debut the same year. What’s amiss here? 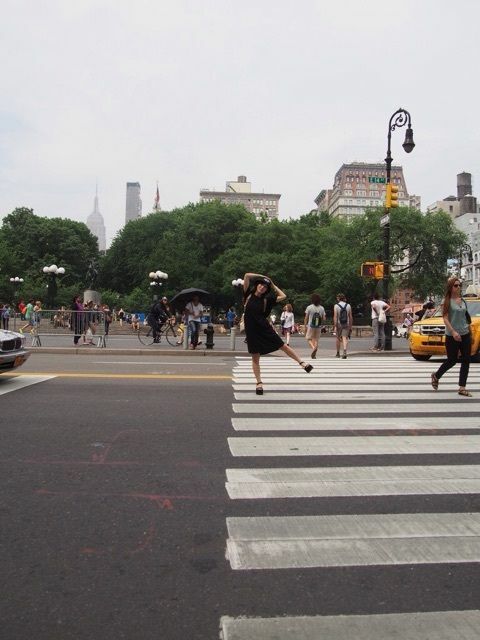 Many are noticing that the angle and distance of all her photos are such that they had to be taken by someone else. 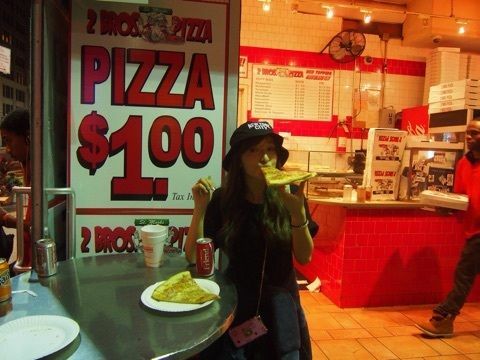 Notably, there’s a picture where she’s eating pizza, and there are two slices (gasp!). The first thought that pops into all our heads: Mai is graduating soon, and yet she became the center. That is an interesting turn of events! Let’s hope Mai’s last single will turn out well. 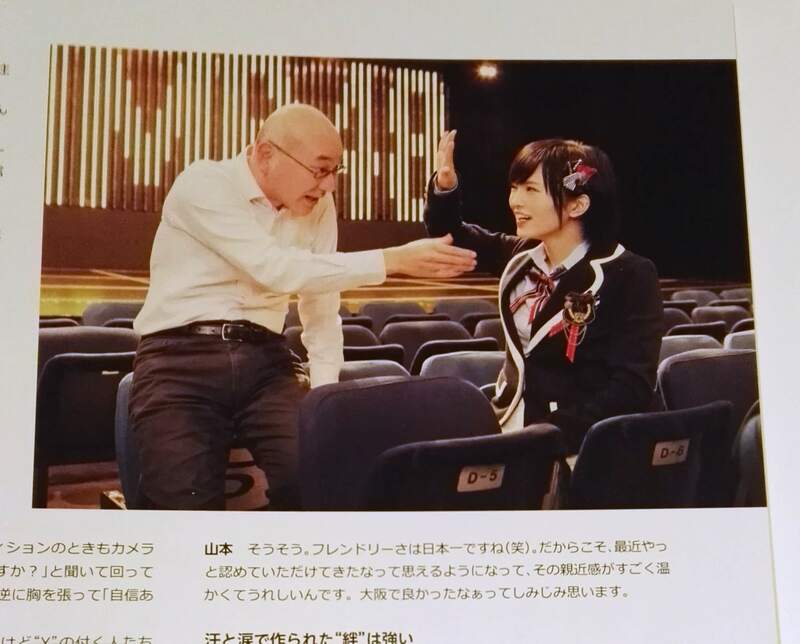 And it says next to her image: “The first appearance from her long awaited photobook”! Do you believe it? Because I am cursed and live in the United States, I can’t watch these. But maybe you can? 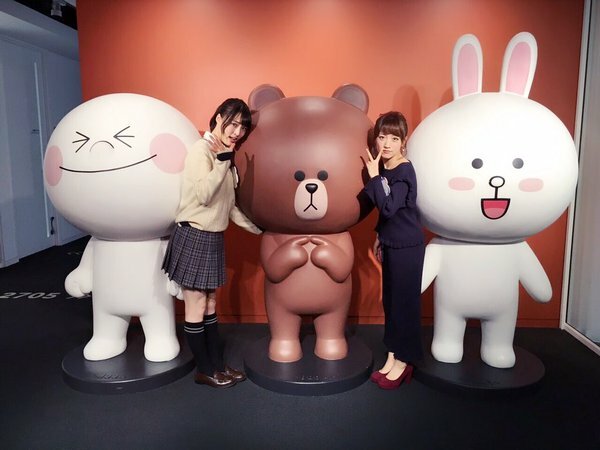 Shimada Haruka, recently took part in a promotional event for Shizuoka Prefecture. Shimada herself is a native of Shizuoka, and during the event, she reveals that she has lost 12kgs in weight! We already saw her previously, but here she is for a second round of commercials. The general gist: Mr. Manager was walking around back stage and thought that everyone had left. As he was making the rounds, he went to the dressing area, and apparently saw Yamamoto Sayaka just as she was putting on her underwear. Whoops. She later mentions as much on her official blog, and she called the injury proof that she is an old lady! 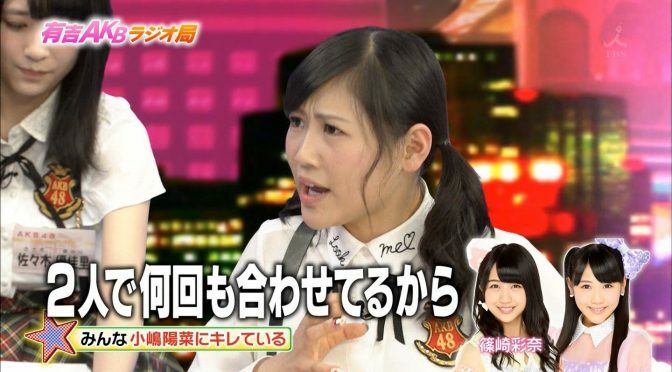 It apparently makes people mad, especially Nishino Miki. 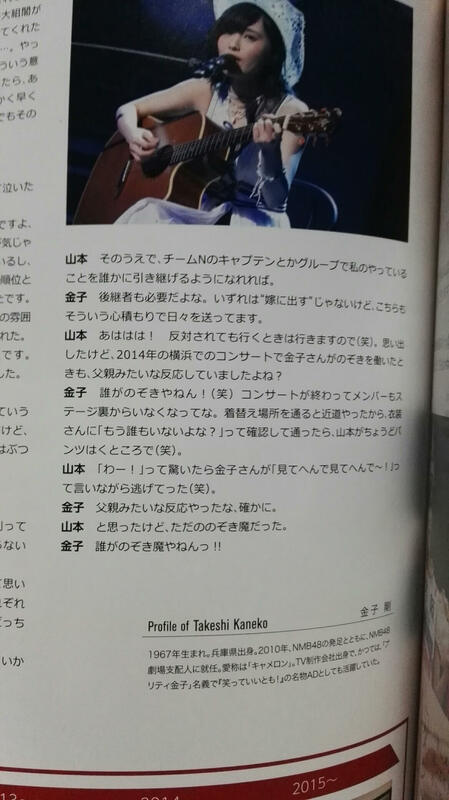 Specifically, she menions the song, “Heart-gata Virus” (which was performed by Shinozaki Ayano, Nishino, and Kojiharu). Basically, Kojiharu doesn’t know the dance moves, so the other two members are put in a tight spot and are forced to match Kojiharu’s messed up movements. She recently announced her graduation, and it seems that Iwasa Misaki is stepping up her enka career. 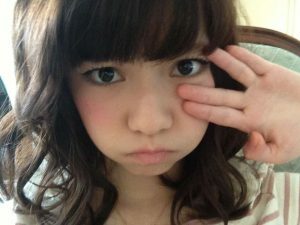 She will be performing her latest single, “Gomen ne, Tokyo” on the show. I live in New York and that pizza place she went to has a special. Buy two slices of pizza and one can of soda for $2.75. That saves you 25 cents because the drink sells for $1 dollar. So while I do believe she may have went with her manager, it’s possible she bought those two pizza slices and drink for herself. The slices are very thin! Oh, is this a popular pizza place? Sure, whether she was by herself or not, I guess some people just like to poke fun at really, really circumstantial types of “evidence.” I also heard that thin-style is typical of New York’s pizza? I never been, but 2.75 sounds like a good deal! Yes it’s a good deal and very delicious. That pizza place is popular in Manhattan for its good pizza deals. There are several of those pizza stores in Manhattan and each one is usually full of people. I wonder if they will bring that store to Japan just like New York brought Shake Shack to Japan hahaha. 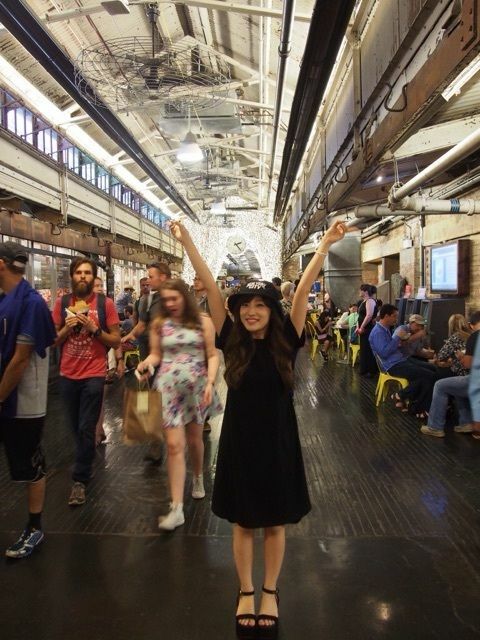 I think if Umechan went to NYC with a guy that wasn’t her manager, assuming that’s the issue here, who cares? She’s graduating. And she’s almost 30. And she’s very pretty. I’m happy to see Umechan in my country having fun and eating some well loved East Coast Pizza, which I miss because I now live on the West Coast. Umechan, ganbatte yo! Also, Kojiharu not knowing the dance moves? Well, a part of me thinks this isn’t so surprising because it’s, well, Kojiharu we’re talking about. But then the other part of me thinks that since she’s a first generation member, she should kind of know the moves by now, eh? Lol. Typical AKB nonsense, but in a good way. I think so too about Ayaka. It reminds me of some rumors when someone saw Uchida Mayumi at Disneyland, the day after her graduation announce. I’m glad they can find love! 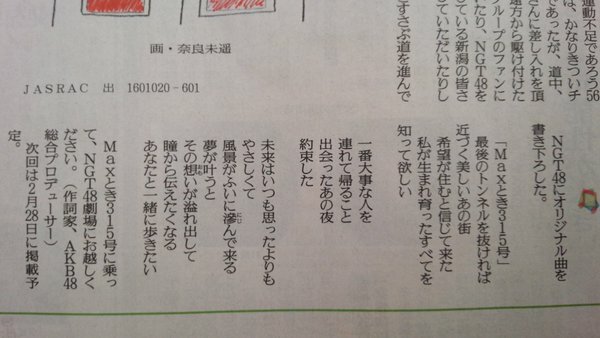 lol, I thought Kojiharu is just legend status, since she’s one of the OG members, so she just what she feels randomly. I’ll still miss her when she graduates though. I hadn’t heard that about Uchida. But whatever on that as well. Uchida had outgrown AKB long before she decided to graduate. Also, I fully support the love ban, but up to a point. I think the older members who are practically entering middle adulthood shouldn’t be so constrained by the love ban. The love ban works great, I think, for the super younger girls to keep them in line and focusing on their dancing and singing training. I think that just makes sense, and is no different to me than when a soldier enters basic training and isn’t even allowed to LOOK at a girl, much less date one, for two months. So if Umechan decided to get her groove on a little bit before she graduated, I say good for her. The girl has earned it. She has been so solid for AKB over the years and often without being thanked or recognized for it, and now it’s time for her life to go another direction. I’m sad to see her go, but I’m also very happy for her. Umechan has always been a chill, down to earth girl that really DID seem like an idol you can go to meet, and who is just an everyday girl with an extraordinary ability to dance and sing. Here’s to Umechan and what’s next–YOSH IKUSHOOO!